Open and clear communication is often a key success factor in the execution and delivery of projects of all sizes. Yet, we not always give it the attention it deserves. 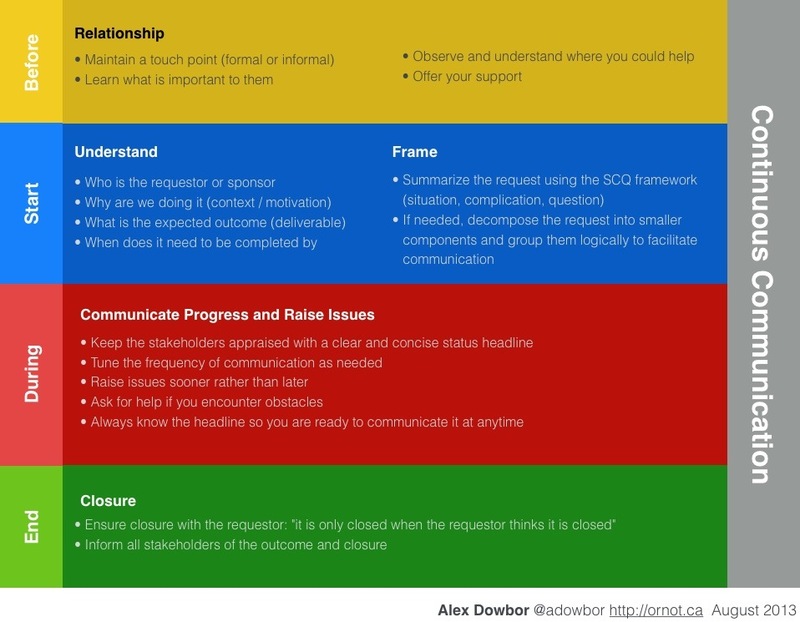 The guidelines below are particularly useful in raising communication awareness with newer team members when taking up new assignments or projects.